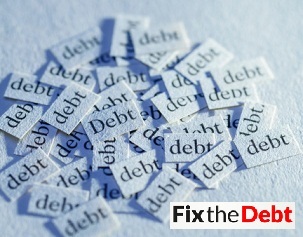 Ask yourself if you want positive changes in your life before you choose not to do anything about the “Fix the Debt” campaign because it will help you realize more things than you can read in any article. There are many questions that you want to know the answers to, and there is only one way to find them out. By helping the movements and organizations that are existing only for one goal, which is returning the debt and securing a better future for the generations to come. Someone has to struggle to make the necessary changes because many lives will be destroyed if there isn’t any kind of plan of returning the debt of this nation. Many movements gave up from this challenging goal, but there is a solution for the debt of this nation and if everyone contributes, anything is achievable and possible. The American nation has to know about the economic situation of this country and the countries that are struggling just because America has a debt for over 11 trillion dollars. Several movements are organized just to educate the people of America about the debt and how serious it can be if the government doesn’t start with a strong strategy on this problem. First, the debt has to be reduced because the government is still spending money and this has to be stopped because more lives will be lost. There isn’t a simple solution for this problem and that is why everyone has to make a contribution in order make a difference and help everyone to have a better life. Some of the most secure countries in Europe have survived the process of returning the debt, which should be an additional motivation for you to help the movements to achieve the same goal. America isn’t the only country in debt, but it is so enormous that the government and the movements should a create an excellent strategy in order to reduce it, stop in and start returning the debt. It is slowing the economy in America and very soon it can make drastic changes in your life, no matter your financial situation. Everyone will lose money if the debt isn’t reduced and stopped. The debt statistics are terrifying and the United States has to act quickly before drastic changes are created. Some of the cities in the United States are already feeling the increasing of the debt and people should react quickly before the other cities get affected by it. Join the organizations and movements because they need your voice and signature in order to reach to the government and share their thoughts with them. There are many things that you can do, so you should start today by signing the petition that you can find if you browse online. Also, you can share this article and inform your friends about this situation because the American nation has to unite in order to secure a better future for its children.